It’s not possible for everyone to obtain first page organic rankings for their business, but by using Google Adwords you can target potential customers that show an interest in your products or services. Google is the world’s largest and most used advertising network, and by only paying when someone clicks on your advert (known as PPC or Pay Per Click) you’re only charged when qualified leads actually arrive on your site. By creating adverts that are focused on keywords related to your business, your ads are displayed when a relevant search query is made. It’s targeted advertising at its best! 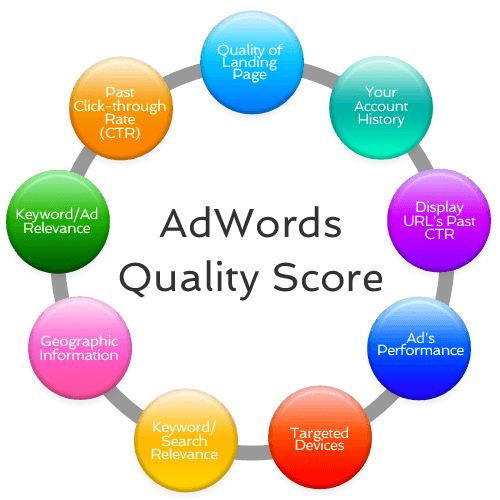 Our Google Adwords Expert will carefully select relevant keywords that represent the best value for money. After selecting your keywords we’ll craft a number of adverts and set these up under different ad groups. This allows us to display the most relevant ad for a particular set of keywords, keeping your cost per click lower. Adwords is an ever-changing playing field, so sitting back and leaving your campaigns on auto-pilot is a sure-fire way to waste money. We’ll use a combination of analytical tools and experience to monitor and fine-tune your account so that it continues to perform and give a better return on investment. We’ll test alternate ad copy, add or remove keywords, and look for opportunities to get more clicks for your budget. Our goal is to give you better targeted ads and more value for money. Unlike many companies we don’t take a percentage of your Adwords spend, or bundle click costs together with a management fee (which hides the true costs from you). We will manage your Google Adwords campaigns for a set monthly fee, and the actual click costs will be charged directly to you by Google, with no margin added on. This provides you with complete transparency of where your money is going. 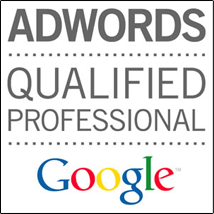 Campaign setup and management by a Google Adwords Qualified Professional is available from only $150 + GST per month. From our experience, we are confident that by having us actively monitor and manage your Adwords campaigns, you’ll save more than the monthly fee by having optimised adverts and reducing wasted bids. This depends entirely on how aggressively you want to market yourself, how competitive your niche is, and how much you are prepared to commit to monthly advertising. There is no right or wrong amount, and we recommend starting at a smaller number and growing from there as you see the campaigns improve. The main thing is that we have sufficient budget to generate enough clicks to provide meaningful data that we can analyze. You will start to receive traffic from your campaign within a few hours of us making it live. It’s important to remember that the first month is more about testing and gathering data to analyse so we have a baseline to start from. We need to do this before we start making changes to improve your campaigns performance. As such, expect fewer clicks and a higher click cost for the first month. Do I need my own Adwords account? Yes. If you don’t have an Adwords account already, we will show you how to create one in under a minute. Then you simply invite us to be an Admin on your account so we can create and optimize campaigns. Can you help with remarketing and display network ads? Absolutely. We will run whatever campaign types we believe will deliver a good result for you. It doesn’t mean we will run these from the beginning, it will depend on how we see the campaigns progressing.